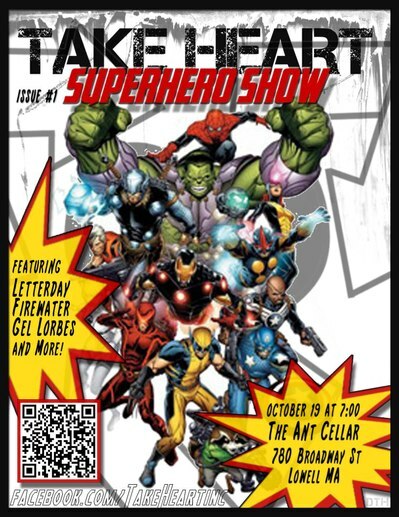 Take Heart has an event coming up on Friday, October 19th called the ‘Superheroes Show’ at 7 pm at the 119 Gallery in Lowell. Please come out and support donning your finest superhero costume! Admission is free, but donations are always welcome and suggested.